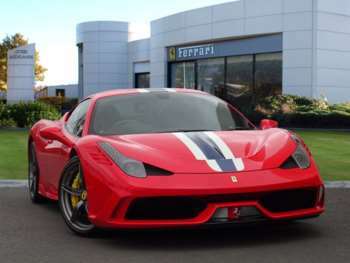 The arrival of any new Ferrari is an event, but the introduction of the 458 in 2009 was a little different from most, if only because the weight of history was pressing particularly firmly down on this mid-engined supercar. Luckily it managed to meet and in many cases exceed expectations, not only because of its impeccable engineering but also as a result of its obvious aesthetic beauty. 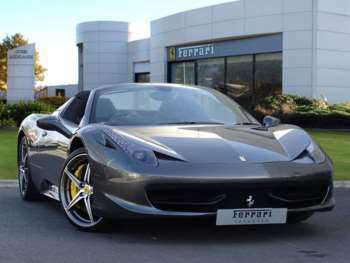 The Ferrari 458 was designed as a direct replacement for the Ferrari F430, which survived for just five years between 2004 and 2009. 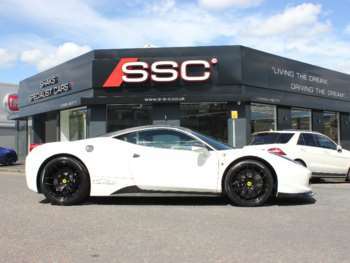 Designed by those stylish chaps at Pininfarina, it is faster than its predecessor and even comes close to matching the much-loved Enzo, albeit with a smaller engine and more affordable asking price. 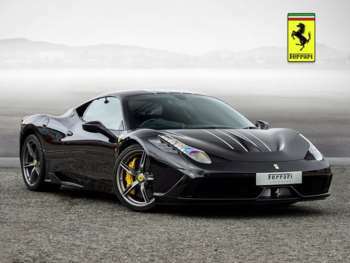 The Ferrari 458 is equipped with a 4.5 litre V8 power plant which is capable of delivering 570bhp at its peak. Shifting is handled by the seven speed gearbox which features two clutches to speed up the responsiveness. There's no option for a full manual, which is an approach that Ferrari has increasingly favoured ever since the Enzo arrived in 2002. 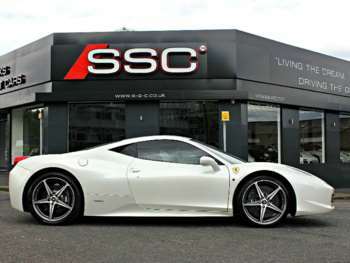 The performance this delivers is pretty bonkers by any standards, with the 458 launching you to 62mph in 3.4 seconds. If you keep your foot down the car will top out at 202mph, which is just what you'd want from a modern Ferrari. 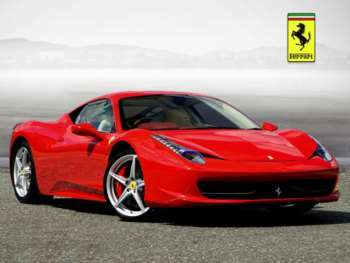 When looking at the Ferrari 458's design, it's difficult not to use up all the descriptive superlatives you can summon. While the body has been sculpted to fit in with aerodynamic concerns, it also has a personality all of its own, with a sleek front section tapering away to an aggressive rear end, with three tail pipes poking out to remind anyone in your wake that this is not a car to be trifled with. On the inside you'll note that the steering wheel looks like something pulled out of a Formula 1 racer. That's not surprising since Michael Schumacher himself was involved in the design of this particular element. In general you might feel that the interior is a bit too focused on the driving process, although you do get a few luxurious touches in amongst the various control systems and dials. 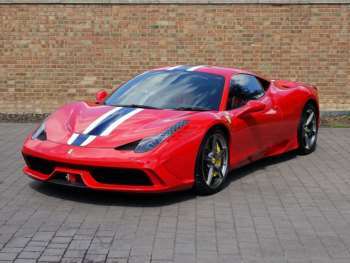 If you're buying the Ferrari 458 new you'll pay over £160,000 to take one home, but there are a good number of second hand options on the market at the moment which might save you a bit of cash without compromising on the driving experience. You'll pay around £130,000 for a used iteration, most of which will only have covered a few thousand miles from new. You can't leave anything to chance when spending so much cash on a used car, so insist on a full service history with an official dealer and always check for signs of unreported crash damage or the most minor of aesthetic dings. Imperfections at this level give you plenty of leverage when it comes to negotiating price. This is a Ferrari, not a Vauxhall, so don't bother buying one if you're not prepared to fork out more cash when you need to buy replacement parts. As with many contemporary Ferraris, the 458 benefits from having a lot of technical aids on offer to help keep it pointed in the right direction, with the power being put down as efficiently and effectively as possible. 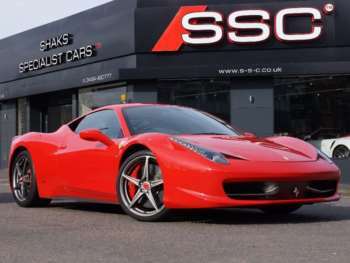 It's got many of the systems found in other Ferraris, like the traction control from the 599, so if you want an untroubled driving experience you'll definitely find the 458 to be a worthy companion. When you do need to slam on the anchors, the carbon ceramic disc brakes are more than up to the task. When travelling at 62mph you can bring the car to a complete stop in just 32 metres, which makes it safe as well as insanely fast. You just have to hope that your reactions are up to the task. 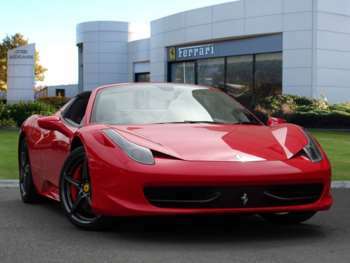 What really makes the Ferrari 458 special is that...it's not too special. Which basically means that unlike the Enzo, it will be produced in great enough numbers to satisfy demand and still give owners that thrill only found when behind the wheel of an Italian supercar. 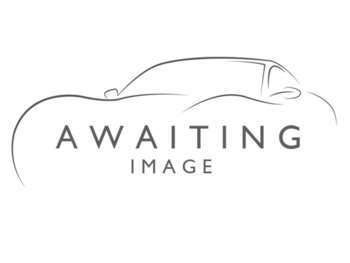 Got a specific Ferrari 458 model in mind?